How do I adopt from HOPE Humane Society? We love visitors at our adoptions center. We are open from 10 AM to 7 PM Monday through Saturday and Closed on Sundays and typically have over 100 animals at any one time for you to visit with. If you find an animal that you are interested in, our adoption counselors can assist you in giving any information that we may have on that pet. You will be asked to fill out an adoption questionnaire and a photo identification is required for all adoptions so please remember to bring one with you. Do you require spaying/neutering of adopted pets? Yes. We are committed to ending pet overpopulation and consider spaying and neutering the number one solution to this tragic problem. A small number of our pets are already spayed or neutered before coming to HOPE Humane Society and those who have not been are altered while they are at the shelter. Barring an illness that would prevent such operation prior to adoption, 100 percent of the cats and dogs adopted are already surgically altered. Is HOPE Humane Society a “no-kill” shelter? We started a 2 year plan to go No Kill on April 1, 2016. This plan is a major undertaking for us and we will not be able to achieve this goal without the help and support of the whole community! Read more about our No Kill plan here. What is the fee to reclaim my lost pet from HOPE Humane Society? All animals that are reclaimed by their owner have a $19.00 fee for every 24 hour period they stay at the shelter. If the animal receives vaccination or veterinarian treatment while at the shelter there will be a charge to cover these expenses. We also require you to provide photo identification when claiming your pet. How long can an animal stay at HOPE Humane Society? We assign NO time limit to our animals. As long as an adoptable animal remains physically and mentally healthy, we keep the animal until it is adopted. Our record length of stay for an animal is nearly a year before being adopted. 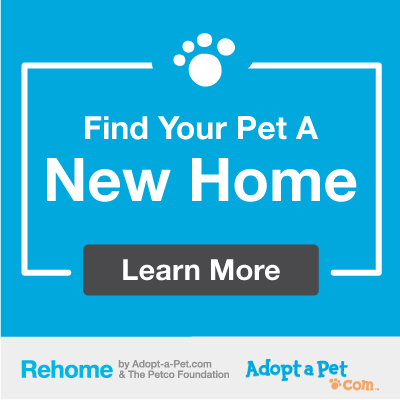 When I adopt a dog or cat, what does the fee include? Dogs and cats are implanted with a microchip for permanent identification. Dogs and cats adopted from the shelter receive a complimentary medical examination within 5 days following the adoption, courtesy of participating veterinarians in the Fort Smith area. A list of those veterinarians that offer free exams will be provided at time of adoption. Every dog, cat, puppy and kitten that are adopted from HOPE Humane Society are spayed or neutered. Dogs and cats are dewormed prior to going up for adoption. Cats/Kittens are FeLV/FIV tested negative unless otherwise noted. Dogs over the age of six months are Heartworm tested negative. Dogs/puppies are all started on Heartworm preventative. Cats/Kittens have had FVRCPP (yearly vaccination). Dogs/Puppies have had Rabies, DA2PP-L and Bordetella (yearly vaccinations). If you are unable to keep the animal, you should call your local animal control agency. HOPE Humane Society will take in stray animals from the city of Fort Smith, you will be asked to provide photo identification to prove residency. First, call HOPE Humane Society and make sure that your pet has not been picked up by animal control or brought in/found by a citizen. We prefer, if you are able, to come to the shelter and fill out a lost pet report and check our stray hold area to make sure your animal wasn’t brought in. It always helps to bring a picture of the animal to hang up on our lost/found board. Check our Lost a Pet? page for new listings of animals that have been brought to the shelter. Does HOPE Humane Society accept owner surrendered animals? Yes. We request a nominal Owner Surrender fee that covers a small portion of the animal’s care while at the shelter. How many animals does HOPE Humane Society care for? We care for approximately 7,000 animals each year. How much does it cost to care for each animal? The average cost to care for each animal from the time it is received to the time it is adopted at HOPE Humane Society is $350. It costs $19.00 a day to care for each animal in the shelter. Does HOPE Humane Society have veterinarians on staff? We have a veterinarian that is contracted with the shelter that takes care of all of our spay/neuter surgeries and prescribes medications for sick/injured animals at the shelter. We also work with several local vets for emergencies and special cases. The State Veterinary Board regulations do not allow shelters to perform veterinary services for the public. How many volunteers does HOPE Humane Society need to operate? We need approximately 150 volunteers each year to walk and play with animals, assist with fundraising activities, and lend a hand wherever help is needed. Whom do I call when I see a loose dog, roaming cat, or dead animal in my yard/road/neighborhood? If you are located within the City of Fort Smith limits, please call the police department to make a report, 479.709.5100. If you are outside city limits, we ask that you call the sheriff’s department of your county. If your sheriff’s department feels that there is a problem they will contact us and assist us at the property. Let us count the ways – HOPE Humane Society greatly appreciates donations of cash, time, and items. The HOPE Humane Society is a 501(c)(3) tax-exempt organization and your donation is tax-deductible as allowed by law. Your financial support helps us maintain and even expand the programs and services we offer for the animals that come into our care. There is a world of opportunities offered to individuals who want to volunteer at HOPE which includes socializing the animals here at the shelter, fostering animals at your home, helping with offsite adoption events and parades. To reduce expenses, the public is encouraged to donate needed items directly to the shelter. This not only reduces HOPE Humane Society costs but you may be able to write off the donation on your taxes. If you would like your donation to be used for a specific area (i.e. medical care, maintenance, or general funding) of the shelter, please let us know so we can allocate your gift to the appropriate fund. Click here for much more information about donating to the shelter.